Homeவீட்டுத் திட்டம்148 ஸ்கொயர் பீட்டில் 3 பெட்ரூம் கொண்ட வீட்டுத் திட்டம் ! 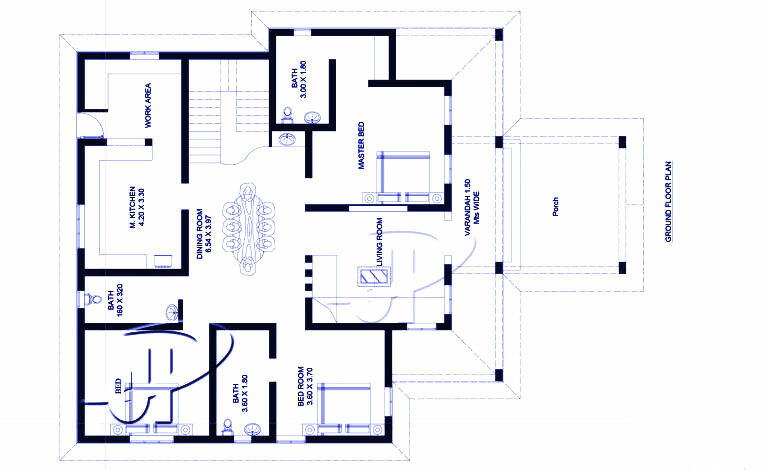 Three Bedroom Small Contemporary House Design with a total floor area of 148 square meters. This house designed to fit a 324 square meter lot, having a minimum lot width of 16.2 meters to maintain 1.5 meter setback from both side. the minimum required depth is 20 meters maintaining at least 2 meter setback at the rear and 3 meters at the front. This house is elevated with 3 steps or at least 450 mm from the natural grade line to ensure that the main floor is safe from flooding during rainy seasons. Low lying areas would prefer this 3 Bedroom Small Contemporary House Design due to its elevated feature.